Gas & Electric Steam Jacketed Kettles Manufacturer & Supplier in India, Gas & Electric Steam Jacketed Kettles in India. We are engaged in the manufacturing of highly durable and productive Tilting Steam Kettle in India. 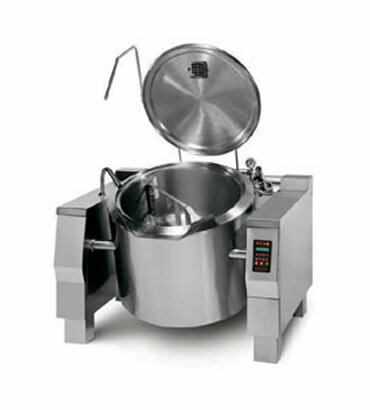 These steam jacketed kettles are offered in the range from 50 L to 200 L depending upon the demand of the clients. Due to their effective performance they are highly sought after by food processing and Commercial Kitchen.